This post was intended as an update to the California Drought Report #47 on my Sierra Foothills Commentary Blog. The reported blob and it’s consequences are no longer present. My apology for cluttering up The Next Grand Minimum. Hi Russ, Very interesting stuff to read. Just guessing at the energy that must have moved around there, but it feels global. Your thoughts? 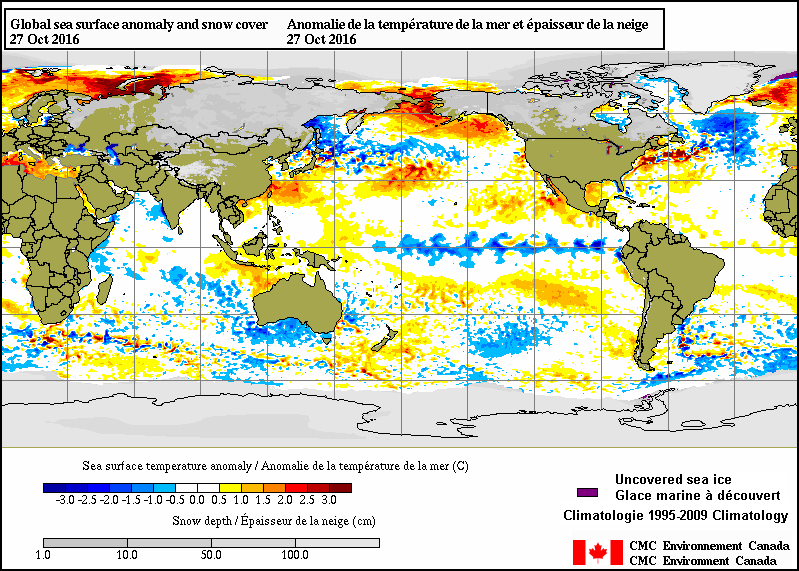 I wonder how the global land/sea temps can keep breaking records when both the Blob and the El Nino have been replaced by cooler waters. The Indian Ocean is also on the cool side and has been since early this year. Scientists propose a laser cosmic shield to protect Earth from space threats!